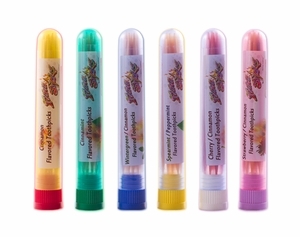 Try our 6 Pack Bulk Tube Sampler of Extreme Mouth Watering Flavored Toothpicks Today. Each tube contains 12 toothpicks and (6) Tubes Shipped with Each Order. 1 Flavor Each Tube air tight sealed medical grade plastic for long lasting storage and easy shipping. 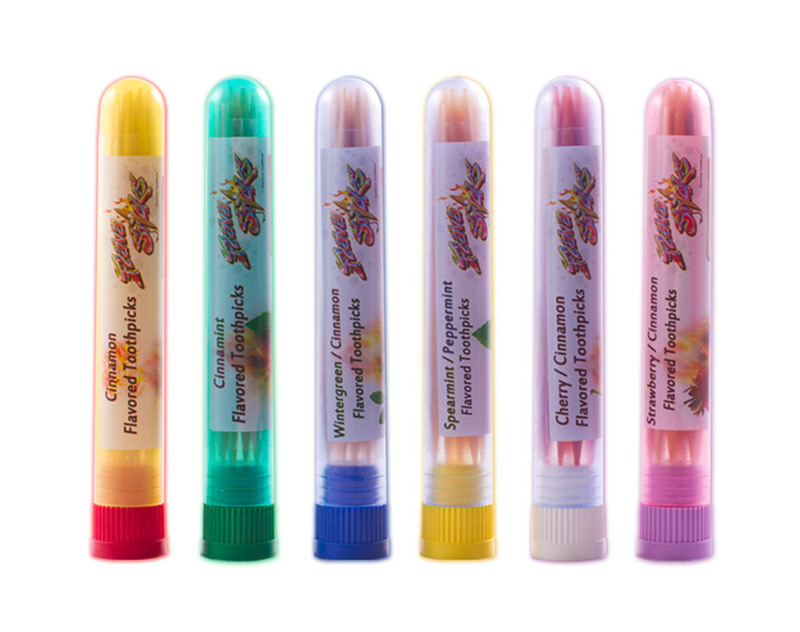 (6) Reusable Medical Grade Tubes to lock in the flavor. Total Count 72 total toothpicks, 12 each of our 6 flavors. Don't buy our product If you want some weak toothpick with no taste and made from who knows what. We sell extreme flavored toothpicks made from the best usa quality ingredients. We pre warned you they are hot, extreme, minty and cool. No Calories No Carbs, No sugars! ALL THE FLAVA! We Only Use Natural Ingredients & The Best Birch Wood. Made from Organic Essential Oils and American Grown White Birch Wood. 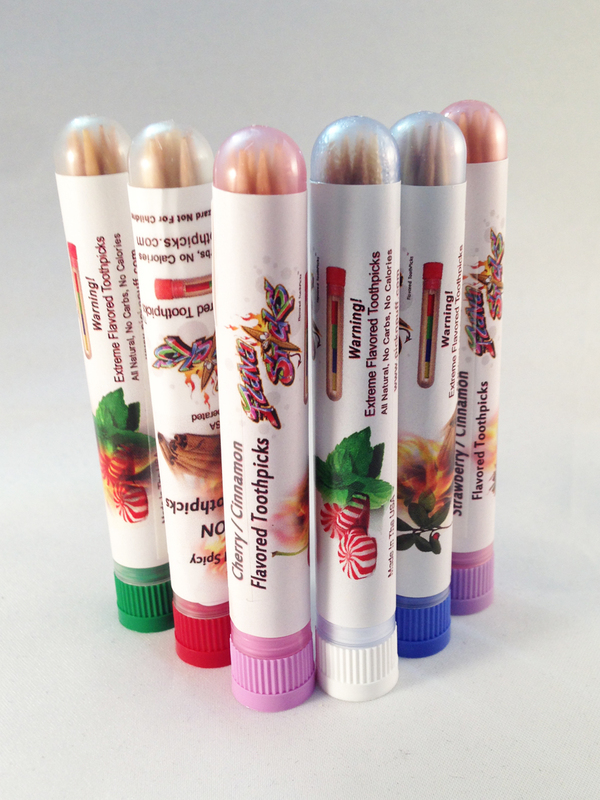 Combine our handy screw-on cap tubes for easy refill for your tasty flavored wood toothpicks! - Or Just For Fun! Private labeling available for any event. We Sell In Bulk For Private & Conventional Events. Flavasticks is NOT a pharmaceutical company and do not produce medical products.